Are you trying to make sure you have the right AC Repair Houston services that help you get everything you want out of your machinery? If you’re living in the Space City and you’re still unsure of what you need to do next, you may feel like things aren’t going your way. While you might not have the most confidence in your heating and cooling systems at the moment, our team can make sure you have everything you need. Visit the services of Houston Admiral Services and figure out your conundrums in record time. Living in Houston is an absolute treat. The Clutch City is an absolute icon in terms of recognition, notoriety, and everything that makes a great city truly great. Millions of people consider our city to be home, and millions more visit us on a yearly basis to take in what we have to offer. This is an iconic place in the state of Texas and the country of America. However, you’re going to have to keep your surroundings in consideration. Are you really hot during the summer and really cold during the winter? Perhaps you’re worrying about not being able to make the most out of your air conditioning units and you’re now paying the costs of having a broken down machine. The weather can be very extreme in our city, and it’s also fairly unpredictable. You could have to set the air conditioner to 67 on Monday and crank up the heat all the way to 80 over the weekend. It’s simply a part of the Houston culture, and it’s something that many people have successfully embraced. However, this is much more easier said than done. You’re probably trying to figure out the best way to make sure you have the air conditioning and heating components you deserve. After all, nobody wants to be in their Midtown highrise and not know what to do when their AC unit goes out. Your indoor temperature is something that’s absolutely critical, and you’re going to want to make the most out of these when you’re trying to make sure you have the optimal systems. 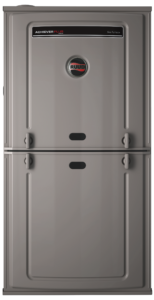 Install the best hardware possible by trusting Houston Admiral Services. Our AC Repair Houston services are absolutely what you need when you’re trying to make the most out of your air conditioning unit. Dealing with heating and cooling problems si something that can really take your system apart and make it inoperable. Make sure this doesn’t happen by counting on our team to provide you with the support and solutions you need. We have a group of residential and commercial specialists who are committed to helping our clientele succeed. Are you currently living in the suburbs of Cinco Ranch and now your heating machine is going out? While it may be summer currently, you always have to brace yourself for a harash Houston winter. Our temperatures can really decrease when the sun starts to set early, and this is something that nobody wants to go through. Make sure you’re able to overcome what’s up against you by calling in Houston Admiral Services when you need help. Our team of professionals are here to provide you with the repairs and replacements you need and deserve. Our commercial services are immaculate and amazing as well. Are you someone who works in an office with a group of individuals who need the right temperatures to stay productive? Perhaps your receptionists frequently complains about the conference room being too hot, and you want to do something about this. While you may not know how you’re going to overcome these problems by yourself, you can trust our team to provide you with assistance. Houston Admiral Services is made up of a team of individuals who can help you with anything you’re currently going through. Are you trying to make sure you hire the right people to handle your conundrums and difficulties? Our NATE-certified technicians understand that things aren’t always easy when you’re dealing with your air conditioning by yourself. While you may feel as though you won’t be able to handle it, know that we’re here to assist you. Our team has decades of experience working on residential and commercial heaters just like yours. Are you dealing with a Woodlands AC unit that isn’t blowing cold air anymore? Our techs here at Houston Admiral Services will be exactly what you need to succeed. Houston Admiral Services cares about our prices, and we want our services to be very accessible for the typical Texan. 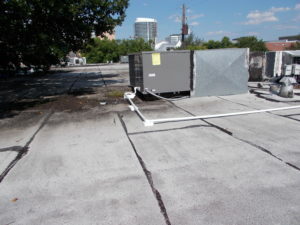 Are you trying to make sure you have a quality air conditioning repair but you don’t know how you’re going to find this? While you may not know how to work this way, you can count on us to provide you with offers and discounts frequently. Check out our home page and take advantage of the available savings! When you’re in need of the right AC Repair Houston resources, make sure you count on our team here at Houston Admiral Resources. Our team is prepared to handle your situation and make sure your heating and cooling needs are fixed and expunged in no time. If you’re trying to turn your air conditioning and heating units into the best they’ve ever been, you can count on us to provide assistance. Call us today at 281-876-9400 for more information as well as a free estimate. Our techs are waiting by, and they’re ready to help you! Are you trying to find a great city that keeps you on your edge while also making you better? If so, Houston is the best place for you! We have a long list of celebrities who call our city home. Daryl Morey, Jim Parsons, and Beyonce are only a few of the names that come to mind when people think of Clutch City. Located partially within Harris County, Houston is one of the biggest cities in the world!